LAS VEGAS, NEV. – Two of boxing’s most gifted voices, legendary Al Bernstein and rising star Crystina Poncher will serve as co-Masters of Ceremonies for the fifth annual Nevada Boxing Hall of Fame induction Dinner and Ceremony, Saturday, August 12. The Induction gala will be held for the third straight year at Caesars Palace, the Legendary Home of Champions. This will mark the second time around as co-MC’s for both Bernstein and Poncher. Bernstein took his spot alongside famed actress Rosie Perez at the 2015 Dinner, while Poncher shined in her role next to ESPN commentator Bernardo Osuna at last year’s spectacular. The Class of 2017 will include Thomas Hearns, who was chosen in the non-Nevada resident boxer category, along with Michael Spinks, Erik Morales, Michael Carbajal, women’s boxing star Lucia Rijker and Salvador Sanchez. Elected in the Nevada resident boxer category was Ken Norton, Leon Spinks and Richie Sandoval. Poncher has rapidly been carving out her own niche in the sportscasting world. In recent years, her ascent up the TV ladder has included stints with NFL Network, FOX Sports West, Prime Ticket and TruTV. It is her role with Top Rank however, for which she is best known. She provides commentary on international telecasts, and hosts live streams of press conferences, weigh-ins and undercards as well as Top Rank’s new critically-acclaimed digital series Camp Life. 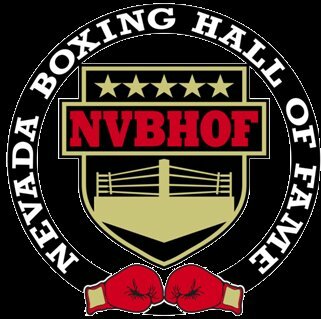 Fourteen members of the boxing fraternity will be inducted into the NVBHOF on August 12. The Ceremony/Dinner will culminate a fabulous weekend of activities for the boxing community. On Friday August 11, the NVBHOF will host a Meet and Greet for fans with champions and boxing celebrities, followed at night by the Inductee Party and Annual Awards Presentations. On Saturday morning, August 12, NVBHOF will present an amateur boxing program — “The WBC Green Belt challenge” — and then the Induction Gala that night. All of the events will take place at Caesars Palace.